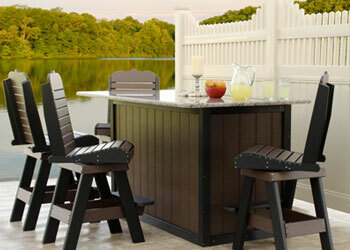 Dress up your backyard, patio or deck with new outdoor furniture that makes an immediate impression. 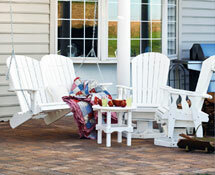 Walsh Country Store offers a wide variety of patio furniture, adirondack chairs, gliders, swings, pub sets and much more. Entertain more this season and enjoy the outdoors in comfort and style! 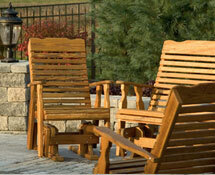 Our hand-crafted furniture is made of top-quality materials by Amish craftsmen who take pride in their craft. The result is quality furniture you'll cherish for seasons to come. Enjoy the traditional styling of real wood. Hand-crafted quality you'll love. Available in an impressive array of colors. Maintenance-free designs won't rot, fade or crack.